600 denier heavy duty nylon perfect design with see thru and mesh window option. can be custom branded with screen printing 3d stand out printing embossed labels or embroidery. Backed by rich industry experiences; we are highly engaged in manufacturing a premium quality range of Cricket Bat Cover. With our years of experience & in-depth knowledge in this field, we are engaged in offering a quality-assured array of Cricket Bat Cover. 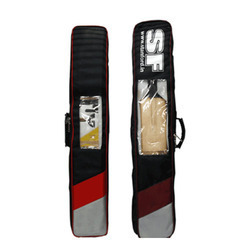 We are devoted towards offering the qualitative range of Cricket Bat Cover, as per client’s precise need and requirements. 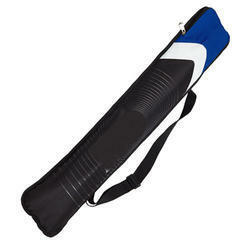 An elegant "IMPORTED" STIGA bat wallet with Room for three 40 mm balls at back side.